I would like readers to be calm and have balance view about Malaysian Malays. The real Malay characters are hospitality, kindness and relax. The Kampong spirit of Malays is well known for helping one another and non-sectarianism. Over the past decades, Malaysian Malays have changed and become racist, thanks to the big culprit UMNO. Worse, one of the major rallying point of Malay racism is anti-Chinese sentiment. The Malay due to day to day interaction with Chinese, know Chinese are good people. Nevertheless due to hate education by UMNO, Malays can be hostile to Chinese once UMNO make use of an event to flame anti-Chinese sentiments. Nevertheless, Malaysian Malays are still bragging that they are "moderate" Muslims. Below is the latest report card of Malaysian Malay in their advancement in Islamofascism. Malaysian Malay is a big fan of Sharia. 86% of Muslims support Sharia, that is way higher than many Muslims countries including Jordan, and Egypt which host Al-Azhar. Even fewer percentage of Pakistani Muslim support Sharia. Turkey support for Sharia is just 12% and Azerbaijan is merely 8%. And among those who support Sharia among Malaysian Muslims, a whopping 66% support stuff like lopping off the hand for theft. That is way higher than many Middle Eastern countries such as Iraq. Support for stoning for adultery is high among Malaysian Muslim despite that there is no stoning culture here. While unsurprisingly support is high for countries with stoning culture like those in Middle East, nevertheless more Malaysian Muslim support stoning than Iraq or Lebanon. One big latent desire of 62% Malaysian Muslims is--death for apostates, when they see anyone walk out of Islam. Indonesian despite being a majority Muslim country and speak a Malay language seems to have no problem of people converting to any religion. For Malaysian Muslim, the first thing in their thought is death penalties. Even Iraq and Lebanon with far more sectarian hate and civil war are more open to people leaving religion and joining religion of enemies. Bosnia Muslims who are recovering from religious war with Christian has no problem of Muslim converting to elsewhere as well. In Malaysia, most Muslims would be thinking of killing. Malaysian Muslims living in a country relatively free of religion hate and bloodshed than places like Bosnia are incredible in their hate against apostasy. Support for suicide bombing stand at 18% for Malaysian Muslims, is remarkably high compared to many Muslim countries. The support for suicide bombing in Iraq where it is used against far more technology superior enemies such as USA, is as low as 7%. PA who need to fight Israeli have strong support for suicide bombing. And for Bosnia who has just fought off the Christians, there is negligible support for suicide bombing. The 18% support of Malaysian Muslim for suicide bombing is appalling. They have no compassion that so many innocent women and children get murdered by suicide bomber. And suicide bombers mostly target civilian than attacking a column of marching battalion. Malaysian Muslims are also the most concerned Muslims in universe regarding "Christian extremist", despite Malaysia Muslims are big bully against all their minorities. The Islamic militants are committing lots of armed atrocities and terrorism in Malaysia especially in Sabah. Nevertheless, Malaysian Muslims seems not so bothered about Muslim terrorism that is happening. On the contrary, a whopping 31% are vigilant about the harm of Christians, breaking the world's record, despite that Christians do not take up arms or commit terrorism in Malaysia. Also Christians have been discriminated to the point that Malaysia break one more world record banning using "Allah" in Christian Bible. Christian endure the pain of racist Malays. In Bosnia where Muslims just fought off crusaders, just 4% are concern about Christian extremist. In fact, there are arm Islamic Muslims attacking civilians in Malaysia but very few seems concern. The harmless Christians are seen as big monsters. In places like Bosnia, the Muslims biggest concern is Muslim extremist. Today, a large proportion of Malaysian Malays are filled with hate, despite being a big bully. Malaysian Malays' bumiputera policy is the worst form of aparthied today, after the demise of white South African and is as harmful than Israeli aparthied against Palestinian. Nevertheless, there is still an incredible mindset of victimhood among Malaysian Malays. Their radicalization is unnecessary because there is few sectarian bloodshed here, and if there is, its the Malaysian Malays murdering others like in May 13th. Places with lots of sectarian hate are seeking ways to reconcile and countries like Iraq, Bosnia, and Lebanon seems to have more forgiving attitude and less sectarianism against other sect. Malaysian Malays (in particular UMNO) despite of hegemony are doing all their best to radicalize themselves. Malaysian Malays are shooting themselves on their feet. They are going to ruin the country and poison the culture in the long run. Despite all misdeeds of PAP government, one must still credit her for having the wisdom of keeping food price low. 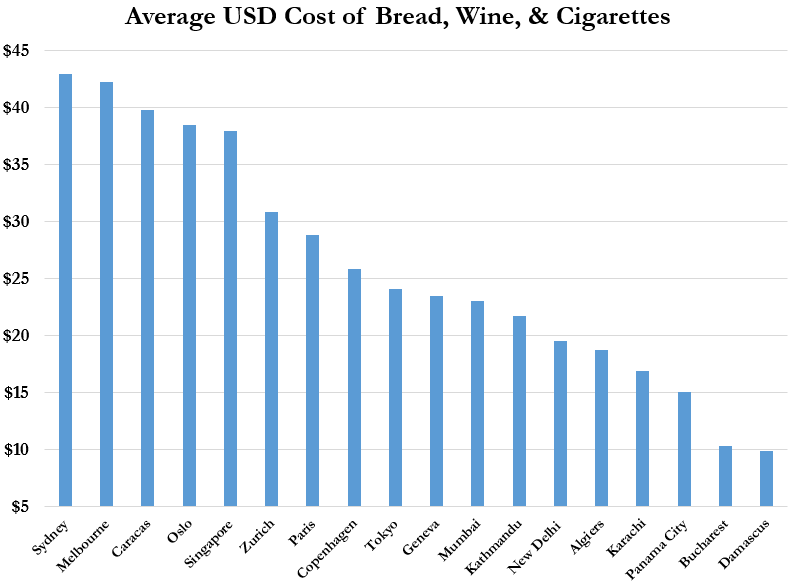 The elites of Singapore seems to be aware that they are able to impose harsh direct or indirect taxes and financial burden on people, so long as food price is affordable to people. 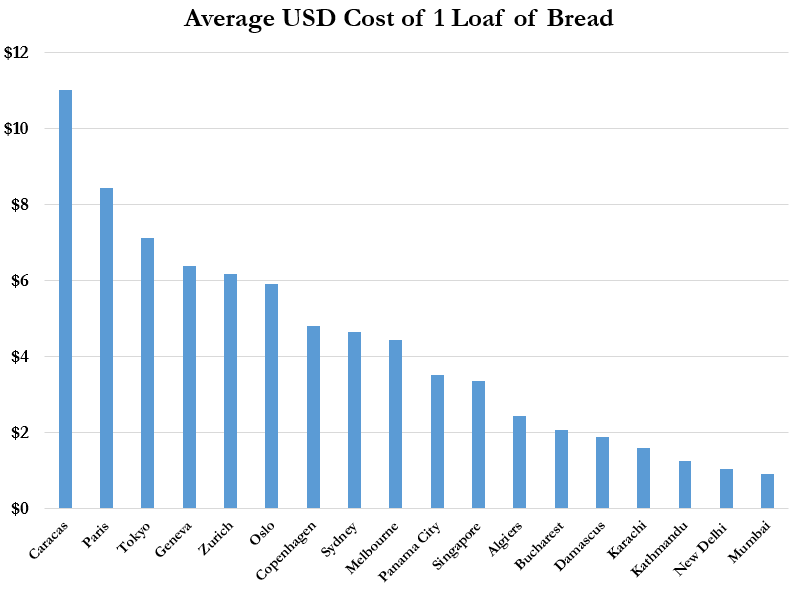 A loaf of bread in Singapore is close to 2 times the price in Indian cities. Before, when Kuan Yew younger and wiser, he secured the rule of PAP by making housing low. As he grows older and greedier, he and fellow elites abandoned the low housing policies, putting PAP on the path of losing power. This year, shall mark the milestone the China has a bigger urban residential floor space than Singapore. The perpetual goal of PAP is to engineer the smallest living environment for Singaporeans. Meanwhile, a much poorer China government despite of all her sins, is trying to make her people as well off as possible. At year 2013, China is likely to surpass Singapore in urban residential floor space, despite that fact that not too long ago, China was far behind most countries in housing her people. While China is working very hard to better her people, PAP government mass import foreigners, making us a sardine can, further reducing the space available for us. The PAP deliberately mass import foreigners so that Singaporeans can never own a car.